Berkeley was Britain’s leading caravan maker in the 1950s. In 1956, Lawrie Bond approached Charles Panter of Berkeley Caravans with his new design. It was an ideal project for Berkeley who had developed considerable skills in the use of fiberglass and was looking for something to fill the gaps in the very seasonal caravan market. This compact sports car has a fiberglass body and is powered by a small two-stroke motorcycle engine that drives the front wheels. 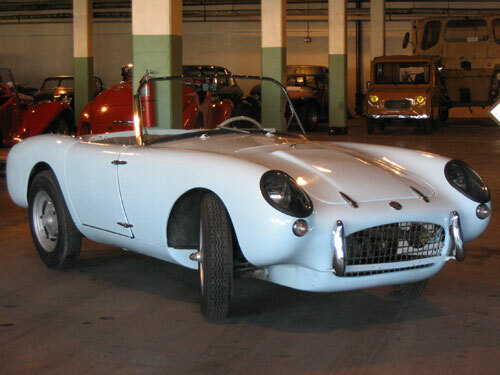 The Berkeley was popular as both a road car and a race car. The 328 model was produced from 1957-58 with 1,272 being made. Approximately 551 were imported and sold in the United States in 1958.